Vision: To be a trend a trend setting, ethical and dynamic institution that enables delivery of quality public services. Mission: To support and enable Nyeri County Government deliver professional, ethical and efficient services through a transformed public service. A transformed and highly performing public service that is value and Ethics-driven. Appoint persons to hold or to act in offices of the county public service including in the boards of cities, urban Areas within the county and to confirm appointments. Promote in the county public service the values and principles referred to in articles 10 and 232 of the constitution. Evaluate and report to the county assembly on the extent to which the values and principles referred to in articles 10 and 232 of the constitution are compiled with in the county public service. Facilitate the development of coherent, integrated human resource planning and budgeting for personnel emoluments in counties. 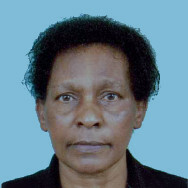 Advise the county government on human resource management and development. Advise county government on implementation and monitoring of the national performance management system in counties. Make recommendations to the salaries and Remuneration commission, on behalf of the county government, on remunerations, pensions and gratuities for county public service employees. HR and Salary Audit: The Board commissioned this audit to create a baseline for its future plan. Recruitment of Sub County and Ward administrators: The Board advertised, shortlisted, interviewed and employed this cadre of administrators in accordance with the County Government requirements. Recruitment of Acting Chief Officers: The Board shortlisted, interviewed and employed/deployed Chief Officers on acting capacity. Recruitment of Members for the County Policing Authority: The Board advertised, shortlisted, interviewed and forwarded names for consideration. Submitted the annual performance report to the County Assembly as required by the County Government Act, 2012. Absorbed all employees from the defunct local authorities and central government into the County Government platform pending rationalization. Prepared and submitted FY 2013/14 and 2014/15 Budget as per the PFM framework. Engaged with the stakeholders on establishment of a harmonized pension scheme of county, given that there were two systems; Laptrust and GoK schemes before the advent of devolution.